Hyperglycemia is one of the common problems encountered in the hospitalized patients who may or may not have history of diabetes mellitus. 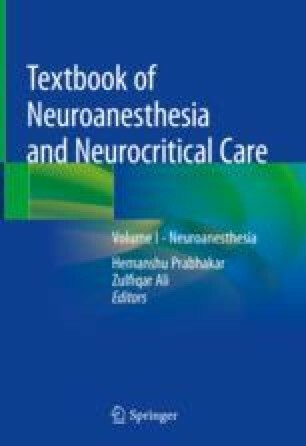 The incidence ranges from 30 to 70% in various settings like intensive care units and emergency department in patients presenting for various neurosurgical procedures. Hyperglycemia increases morbidity and mortality and is considered to be an important cause of secondary brain injury. Hyperglycemia increases the neuronal damage and cerebral edema, impairs cerebral autoregulation, worsens the brain infarct, and leads to poor outcome. Hence it is imperative to aggressively manage the condition. On the contrary to the belief, strict control of hyperglycemia was associated with poorer outcome compared to conventional therapy. Hence various guidelines have been proposed to manage the condition in different settings. Though insulin forms the main stay in the management, different regimes are followed in different hospital settings. The current chapter discusses various issues in the management of hyperglycemia based on latest literature available.